In cooperation with the IB since 2002. All our workshop leaders are trained and approved by the IB. Some of the leaders we use are also employed by St Clare's as regular IB Diploma teachers whereas others are drawn from the IB Educator Network. All leaders are highly experienced IB Diploma practitioners. We provide an official certificate of attendance for all participants who sucessfully complete the course. This not only enhances your own CV but also provides evidence of continuing professional development - a requirement for IB World school five year evaluation. Our workshops are small and informal. Our preferred group size is 12 with an absolute maximum of 15 participants, and we usually run no more than four subjects at any one time. This ensures that participants can easily share ideas within their workshop groups as well as enjoying the small scale, informal social events. With the expert college catering team serving our needs - high quality refreshment and meal breaks are integral to our workshop events and are greatly appreciated by all our participants. All refreshments, lunches and evening meals are included in the workshop fee of £795. Just a short walk away from the IB college, the International College at Bardwell road provides the perfect venue for our teacher workshops. The venue is approximately a three minute walk from the Linton Lodge hotel - where the vast majority of our participants stay. 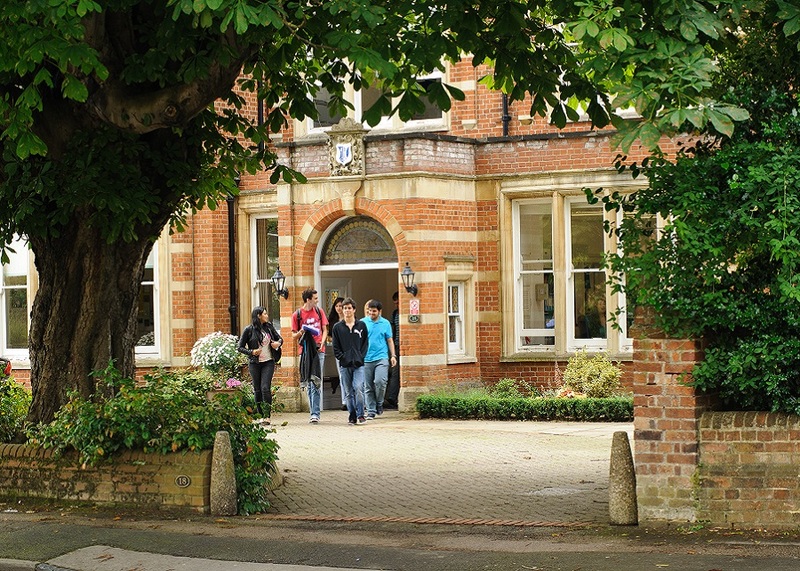 St.Clare's Oxford is England's longest established IB World school. The IB teacher workshops thus enjoy access to a number of our IB Diploma focused resources including the library, science laboratories and Visual Arts studio. 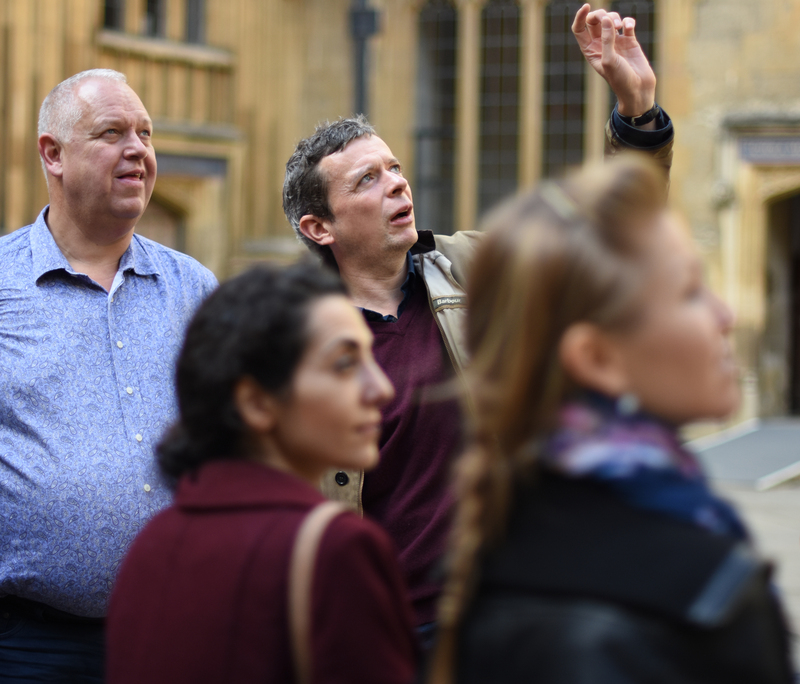 All participants are offered a guided walking tour of the fascinating historic Oxford City Centre. This lasts about two hours and usually takes place in the late afternoon after workshop sessions on the first day. The pdf below gives a general idea of our usual workshop event programme. Please note that whilst the start and finish times will as far as possible remain unchanged, precise timings of workshop sessions and the other activities might change according to the season, availablity, weather and demand. St Clare's reserves a number of beds at a reduced rate* in a local hotel for each workshop. The hotel used is very close to both of the St Clare's main campuses and is therefore ideally positioned for participants to be able to make the most of their time in Oxford. The walk from the hotel to either campus takes less than 5 minutes. The walk from the hotel to the IB College campus takes you past the house where JRR Tolkien once lived. On your arrival day - we suggest you check in to the hotel before walking round to the St Clare's International College ( 3,Bardwell Road ) campus to register for the workshop between 2100 and 2130. Payment in full is required at that time. On departure day - rooms must be vacated by 11.00am. Both the hotel and the College will be happy to look after your luggage until the workshop closes at 1400. Fees are payable directly to the hotel at the point of check-in – they are not included in the workshop fees. For those able to arrive early the IB college offers workshop participants an informal meal in the IB student dining room on the arrivals day. Meet in the hotel lobby at 1830.